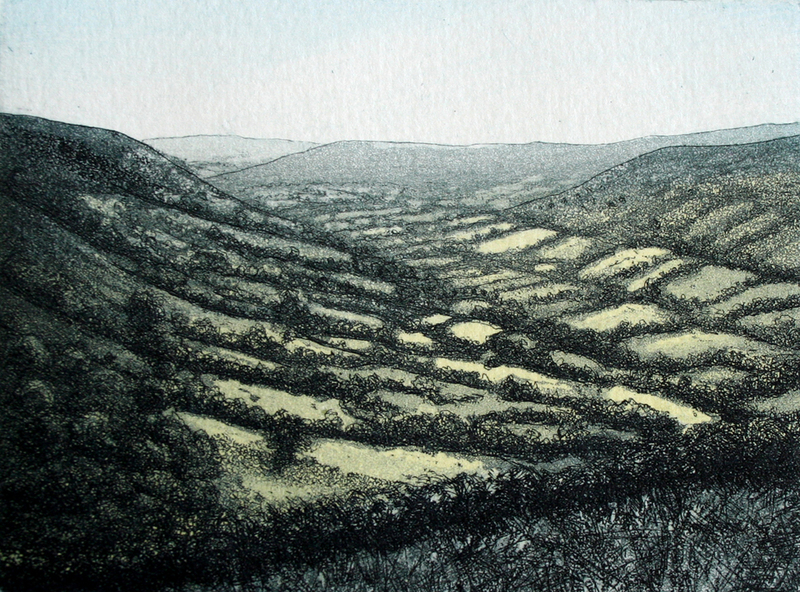 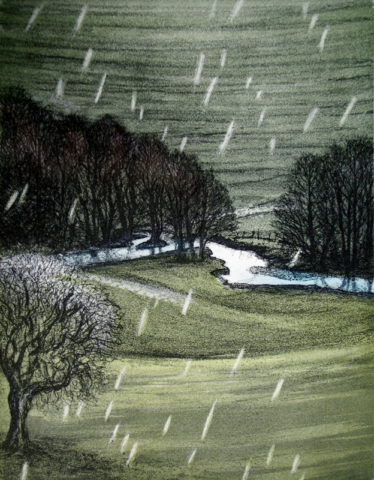 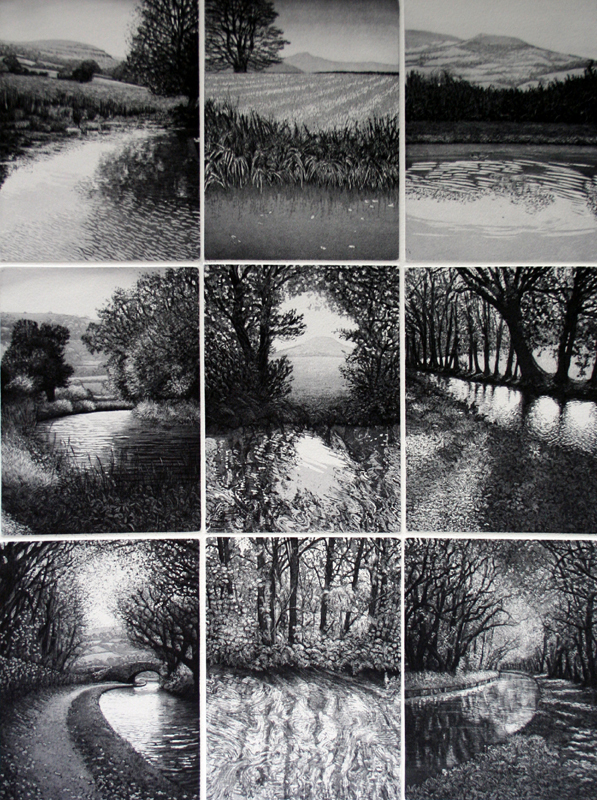 These are the etchings I have made in the last few years, mostly inspired by views seen walking in the Marches and the Brecon Beacons. 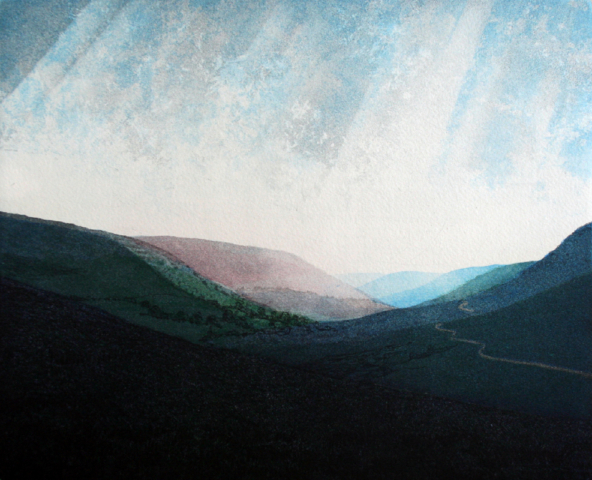 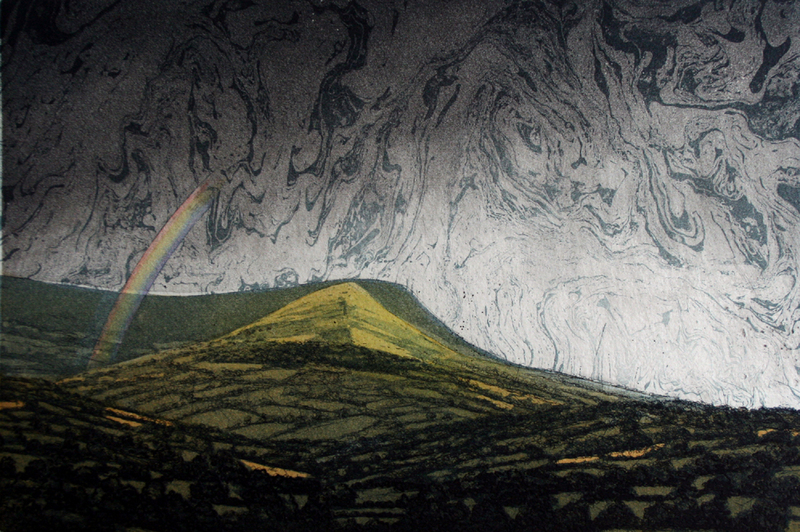 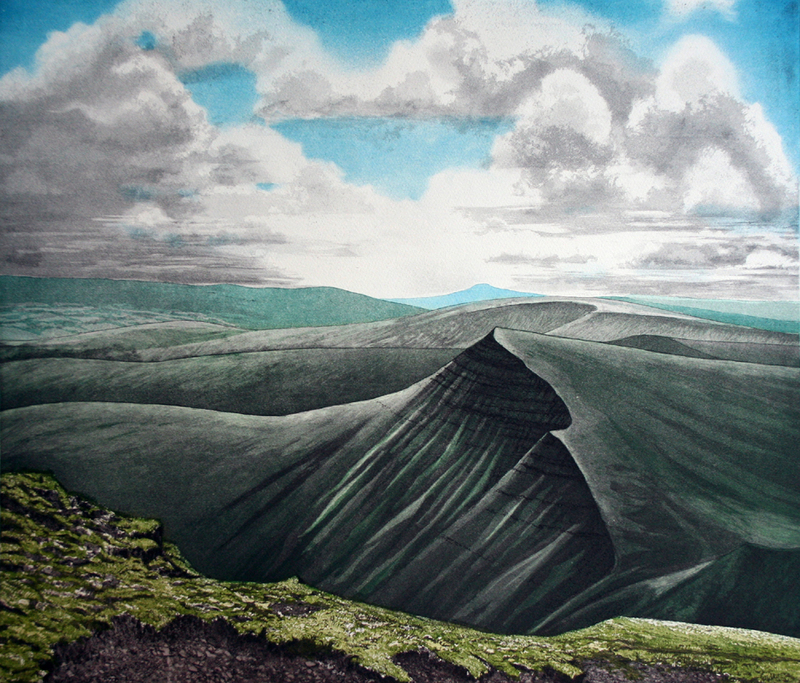 There is a balance and contrast between ephemeral visions of light over the hills and the slow build up of drawing, detail and the etching processes to produce the finished print..
A wild day, on the highest point in the Beacons, with a brief break in the clouds. 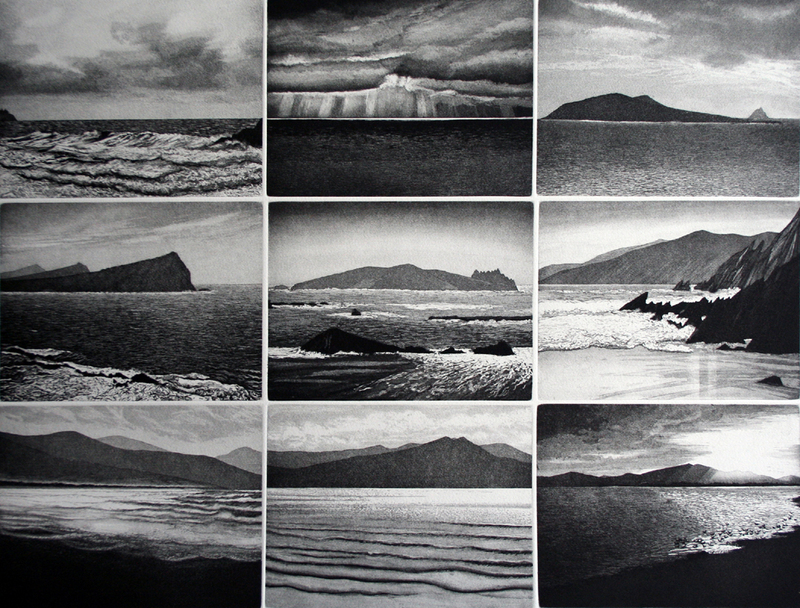 I walked the Dingle Way in South West Ireland, in 2013 and the individual images are of the following places: Clogher, From Slea Head, Near Dunquin, Smerwick Harbour and the Three Sisters, Inishrooskert, Coumeenoole Bay, Brandon Bay, morning, Inch Strand, and Brandon Bay, evening. 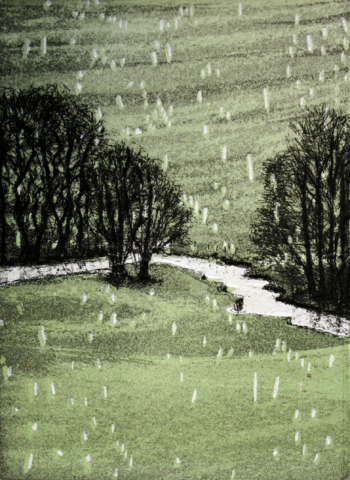 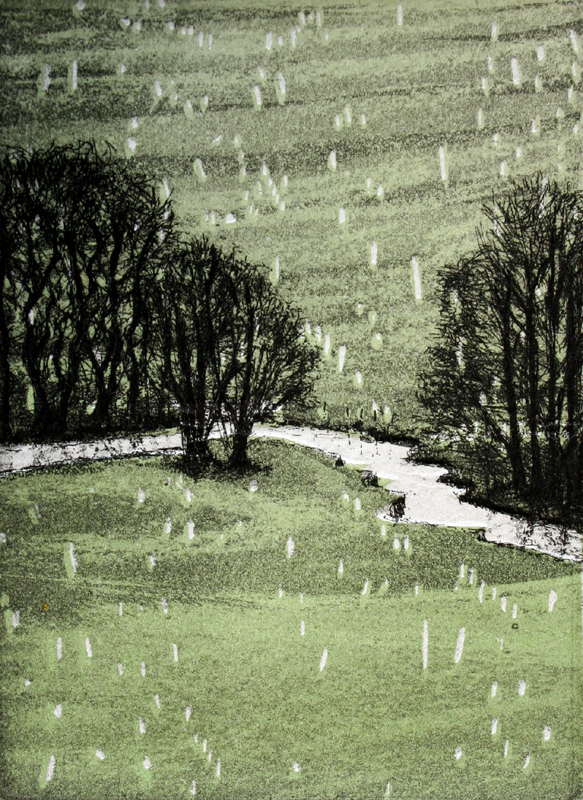 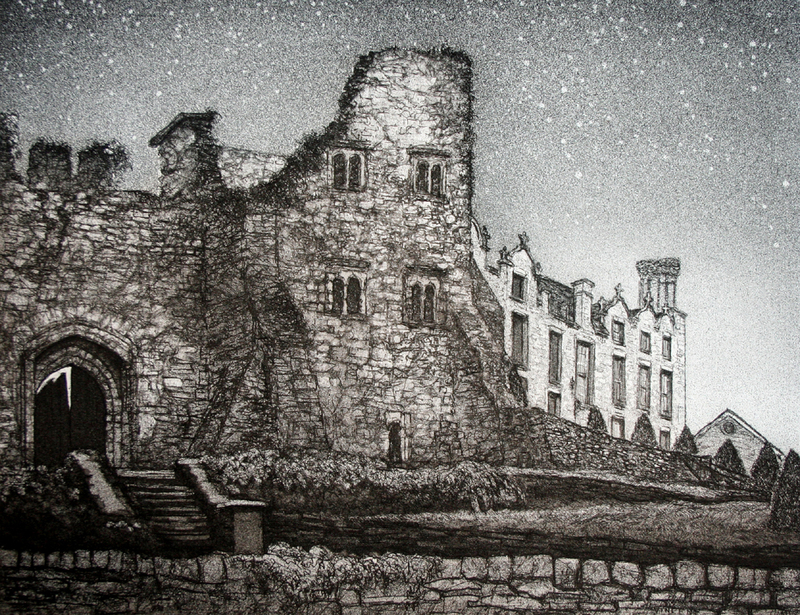 This print has been selected for “The Masters ” open submission etching and intaglio exhibition at the Bankside Gallery, London, November 2016. The images are also available individually. 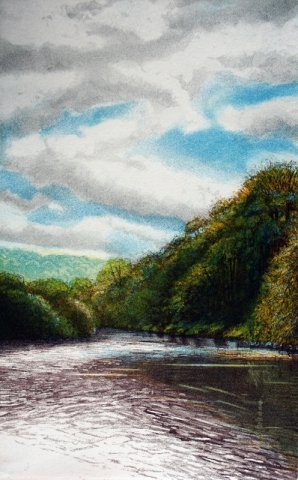 This was made to commemorate the 150th anniversary of the opening of the canal in 2012. 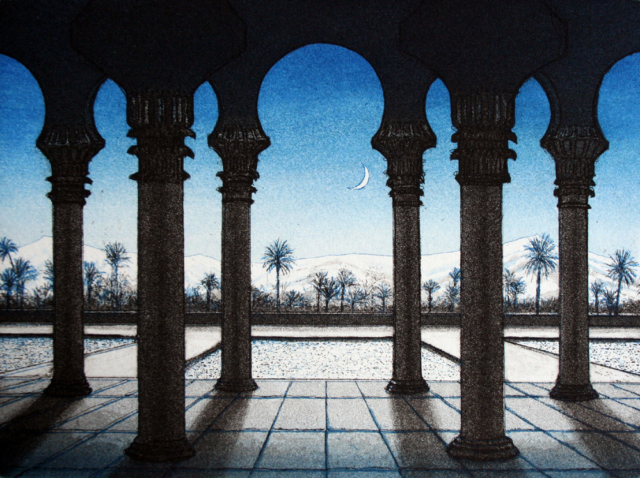 The images are also available individually. 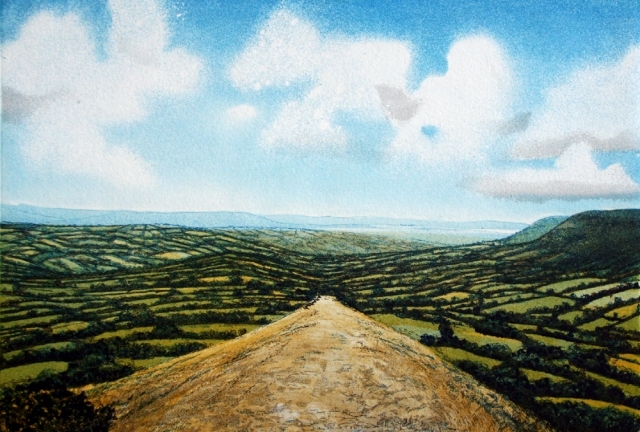 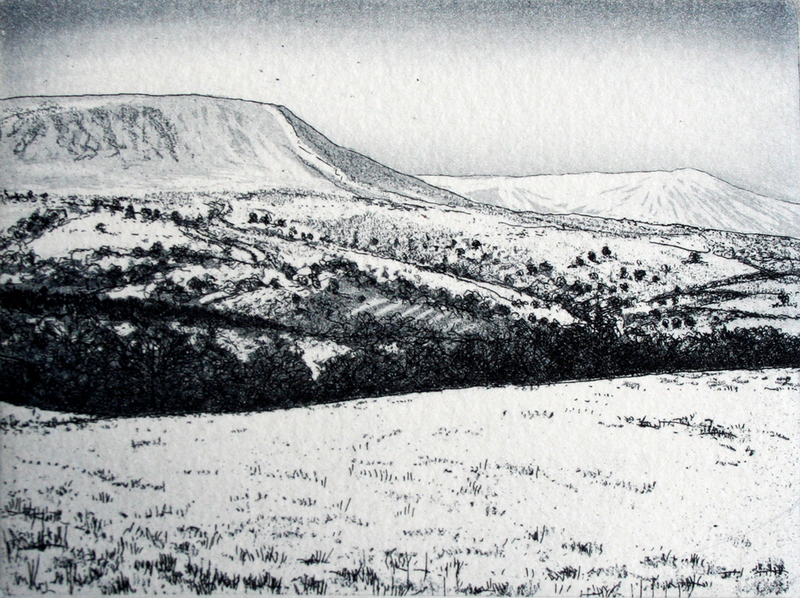 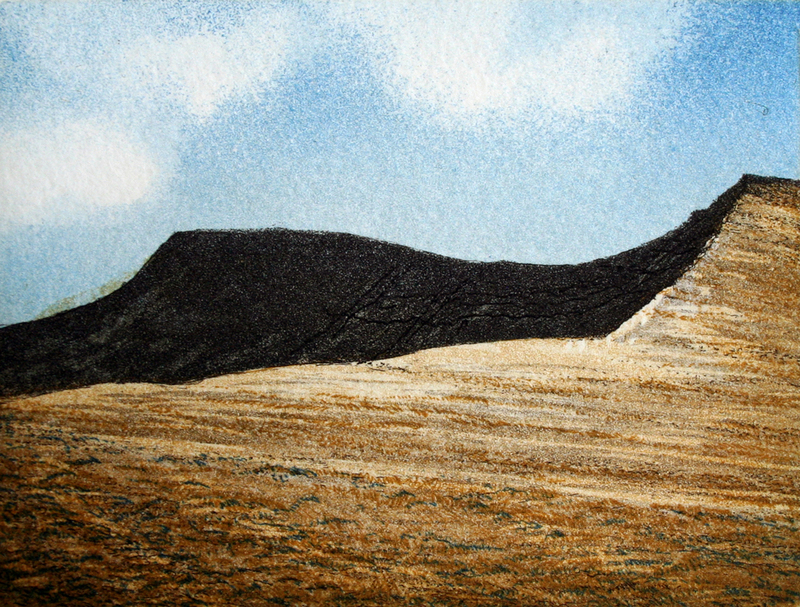 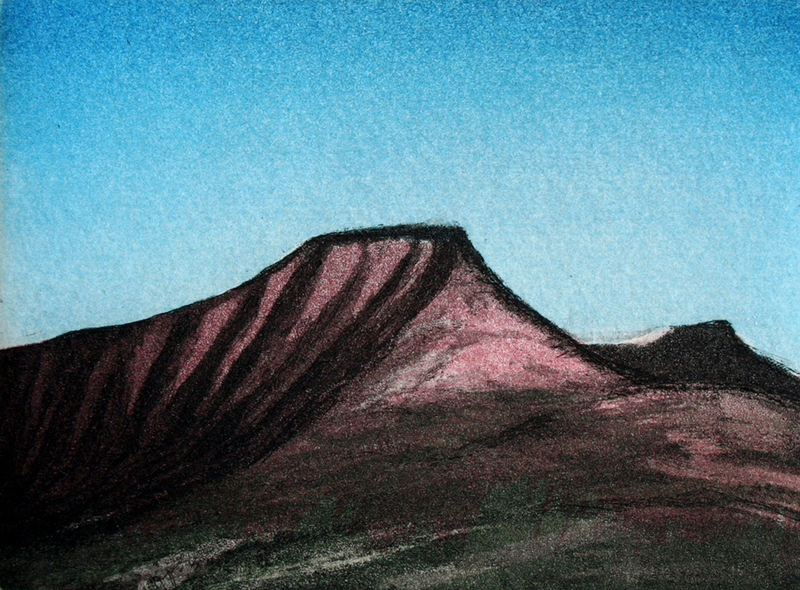 Part of a set of five views of Pen-y-Fan. 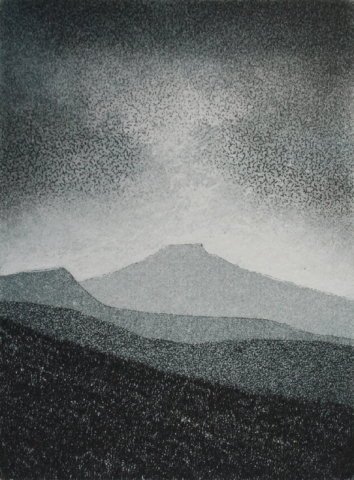 This print was a finalist in the Mini-Print Exhibition in Cadaquès, Spain.